This Mikimoto pearl and blue sapphire necklace is absolutely exquisite! 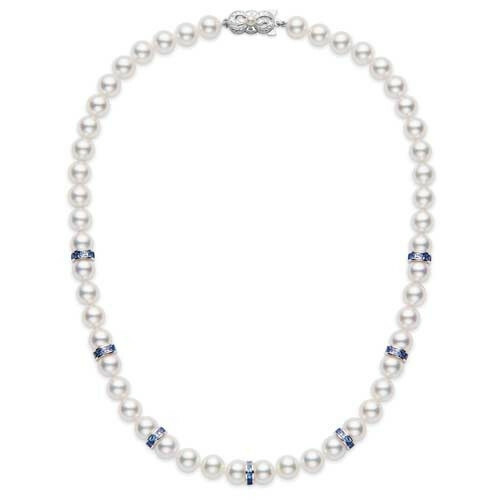 Blue sapphire rondelles are added to a classic princess strand of pristine Akoya pearls. 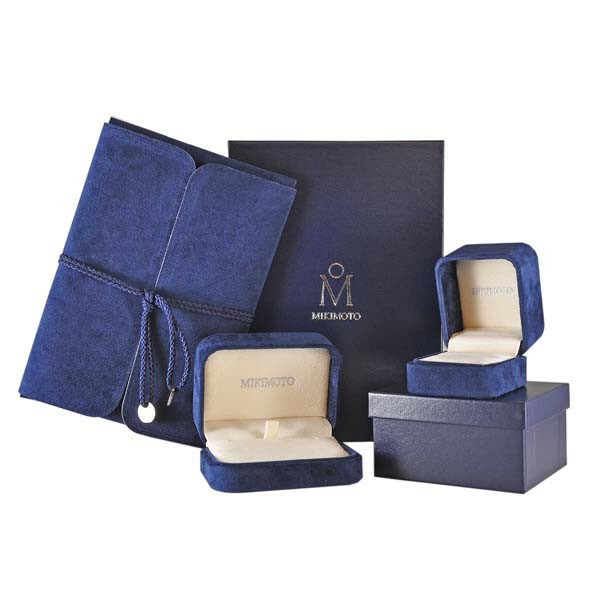 Each pearl is an A+ quality pearl that measures 7mm, and the signature Mikimoto bow clasp is fashioned in 18kt white gold. This Mikimoto necklace is a luxury that any woman would desire.